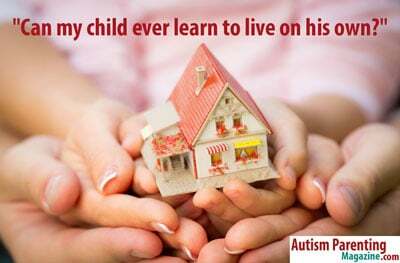 Can My Child Ever Learn to Live on His Own? not starting early enough to teach independent living. At all ages we need to be teaching “independent skills,” whether it be basic personal care (dressing, eating, etc.) when little, or advanced daily living skills (cooking, writing a check, etc.) when they get older. The problem I see is we tend to do way too much for these children (rather than allowing them to learn) and we start way too late (waiting to the time neurotypical children learn them). We over compensate for their delay in learning, by doing for them, rather than teaching them “how to.” We need to “assume” the ability to learn, and provide supportive coaching to teach them. We also need to be projecting way ahead to what they will need to function on their own, and start teaching toward those objectives at an early age (both in school and at home). Teach the children through “we-do” activities, doing it together, learning by doing with you. This is called “apprentice learning.” The child learns the skills/functions by doing the activity, side-by-side, helping you out, while you scaffold the activity for them to learn. This is the best type of learning for children on the spectrum. They learn the needed skills in the functional activities themselves (rather than apart from them) and they learn by “doing with you” so the activity can be framed for success. They also learn to reference, imitate, and follow the lead of the coach (parent, teacher, instructor, playmate, etc.). Starting now is important. Get them involved in cooking, meal planning, grocery shopping, doing laundry, dusting, vacuuming, putting away clothes, fixing simple things, etc. as early as possible. Make a list of what things they will need to do to live on his own (open a savings account, budget money, plan meals, do dishes, etc.) and get them started on it now. Although it is never too early to teach basic “functional skills,” I would start projecting ahead to “what is needed for them to be a functioning adult,” and arrange all curriculum around this long term goal. Make a list of skills to teach over time, then sit down with the child a plan what to start now. Tackle three or four at one time until they are mastered, then build them into his daily routine (once the skill is learn, keep it in his daily routine). Make a “My Independence” book with the list in front, and a few pictures of him learning each skill as he does them. When he learns each skill, check that task as learned, and move onto the next. Never stop doing the task once it is learned. Keep it in his routine so he doesn’t lose it. Learning by doing is so important for these children. Checking off the list helps him see what he has already learned and helps develop sense of self-esteem and confidence. At school, academic tasks should be “functional” to daily routine. For example, doing math should be hands on learning to teach a daily activity (make change, balance a checkbook, etc.) and combining skills such as reading labels/instructions and measuring ingredients for cooking, cleaning, putting things together, etc. For many daily activities that require interaction with the community, do it out in the community. The curriculum should look at what “daily living skills” (household chores, money handling skills, meal planning, personal care skills, driving a car….lol, etc,) will be needed to live independently, what “social skills” are needed to meet these daily living skills (carry on a simple conversation, team work in activities, obtaining help, regulating standing in lines, following basic social rules, etc. ), vocational skills (general work skills like being on time, following directions, coordinating with co-workers, etc, as well as skills specific to vocational interest), and basic organization skills for planning, organizing, and carrying out the daily activities (check lists, visual schedules, visual organizers, etc.). Teach driving skills now. Regularly use a go-cart. Let the child learn to feel comfortable steering, accelerating, regulating a moving vehicle similar to a go-cart. Use golf carts, riding lawn mowers, and four wheel vehicles to give them a lot of “safe” experience learning the perceptual motor skills of driving. Then when it comes to learning the cognitive aspects of driving on the road, they have the perceptual motor skills down. For most children on the spectrum, they can learn most everything that needs to be done for independent living. They just need very structured learning, with tons of repetition, and doing very concrete, functional task learning. They need to learn by doing and thinking their way through things (rather than rote learning). Try not to teach only rote skills, place them in daily situations that require them think their way through it. Put them in life situations, with your support, and allow them to think their way through it (formulate the problem/issue, come up with options, and evaluate the options). When they become adults they need to be able to “think, problem solve, plan and follow a self directed course of action.” This takes time to learn, so start projecting way ahead to what they will need to learn to be functional independent adults. It is not good to wait until they are 16 years old to be considering these things. Start them as early as possible, 10-11 years of age, if not sooner, and build gradually to success!!! Get with the school and provide guidance to a curriculum that will maximize independent learning. 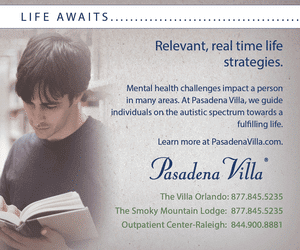 Bill Nason, M.S., is a mental health professional, behavior and autism specialist with over 35 years of experiences working with individuals with autism spectrum disorders and developmental disabilities. Specialties include developing positive behavior support plans for multiple behavior challenges, skill training programs for daily living skills, and developing person centered life plans. Bill has spent eleven years running soccer and basketball programs for children and young adults with autism/aspergers at Oakland University. He also moderates the “Autism Discussion Page” on Facebook with a membership of over 75,000 people, has authored two books on treatment strategies for individuals with autism, and periodically lectures at conferences. 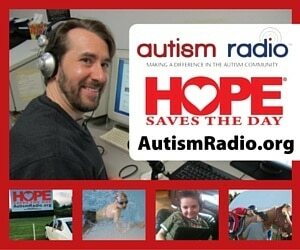 Bill has also volunteered his time servicing local autism support groups. Thank you For this article, I think about whether my son will ever be able to live on his own daily. Same here:( I think that’s parents biggest fear of the future for there child. This is wonderful advice. The face book group and books are really awesome as well. I have a non verbal 9 year old grandson who hasnt had theraphy for 5 years because we cant afford it. I truly hope that this year we willget him some help but in the mean time, do you think he still has the chance to learn to live independently? Very interesting article. Looking forward to receiving more information. Thank you, Nora. 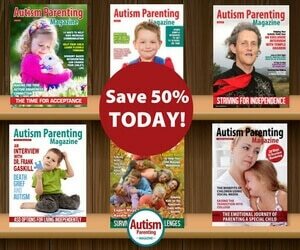 Feel free to check our other articles posted here: https://www.autismparentingmagazine.com/autism-article/ Enjoy reading!